The Philadelphia 76ers acquired LA Clippers forward Tobias Harris in a blockbuster deal at the NBA trade deadline. 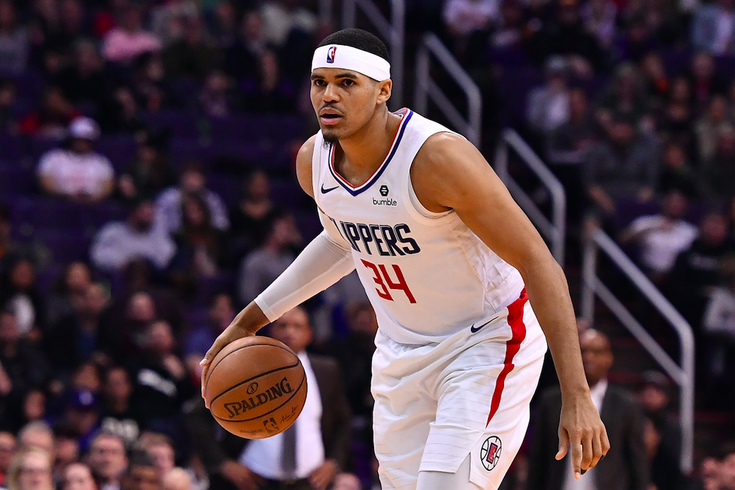 The Philadelphia 76ers pulled off a blockbuster trade with the Los Angeles Clippers overnight Wednesday, landing forward Tobias Harris to complete one of the most fearsome starting units in the NBA. The trade netted Harris, center Boban Marjanovich and forward Mike Scott in exchange for rookie Landry Shamet, Wilson Chandler, Mike Muscala and four draft picks — including two first-rounders in 2020 and 2021. An aggressive move from general manager Elton Brand now gives the Sixers a better chance to overcome their struggles against the top teams in the Eastern Conference, who have been an obstacle for Philadelphia despite the Sixers' strides. With Jimmy Butler and Harris both set to become unrestricted free agents at the end of the season, the trade raises major implications for the Sixers' upcoming summer. For now, they have assembled an imposing top-end roster that gives them a fighting chance to rise through the playoffs come May. Here's a look at some of the best Twitter reactions to the deadline trade. The Tobias Harris trade was a nightmare for Toronto. 1. Sixers made the East that much tougher. Playoff 2nd round will be brutal. 2. Clippers put themselves in prime position to pry away Kawhi Leonard and render Raptors' summer gamble a big L.
The Sixers have made two franchise-altering trades in the time that Bryce Harper and Manny Machado have been free-agents. Didn’t see that coming. Meh, Elton Brand spending every last dime the sixers had saved up over the last 5 years on two trades for unrestricted free agents is not exactly ideal. It’s NBA finals or bust this season now. If the Sixers trade for Thanos, do they get to play 5 on 3 or 5 on 2?